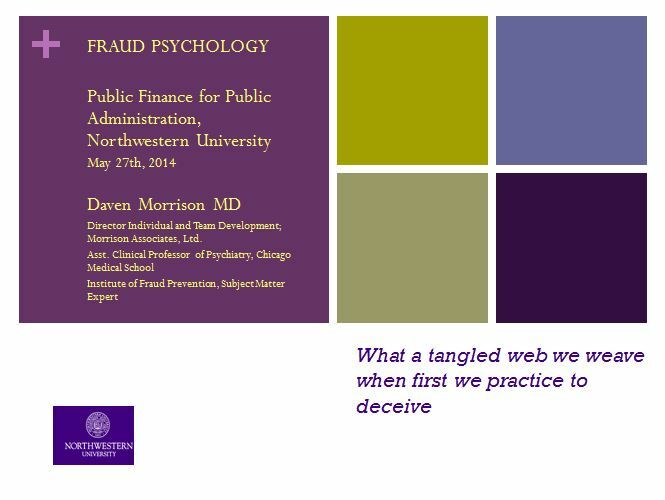 In May, for a required course on finance in a Master’s Level class at Northwestern University, Daven Morrison presented a lecture on fraud and the psychology behind it. 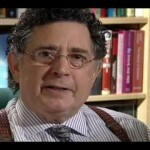 As fraud is a human act, and because all actions are fundamentally driven by affect, Tomkins’ theory plays an important role in the discussion. 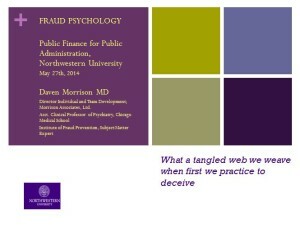 The sense of excitement for “found” or easy money is often an initial trigger that a predatory fraudster can exploit. If a politician promises one financial solution in order to be elected and then delivers another after being elected, is this fraud? As the dialogue progressed it became clear that, although it doesn’t qualify legally, the emotional aspects of the political deception leave voters feeling as if they have been defrauded. The importance of accounting for emotions in fraudulent transactions underscores the importance of having a robust framework for how emotions work, such as Tomkins’ Affect-Script Theory provides. 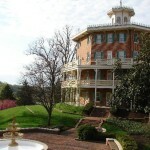 For more information on this workshop and others like it, contact info@tomkins.org.